President-elect Donald Trump is desperately trying to prove to his voters that he’s not entirely a shameless liar by twisting and distorting the facts to make it appear as if he’s being “tough” on corporations that outsource jobs and by taking credit for business moves already in the works. 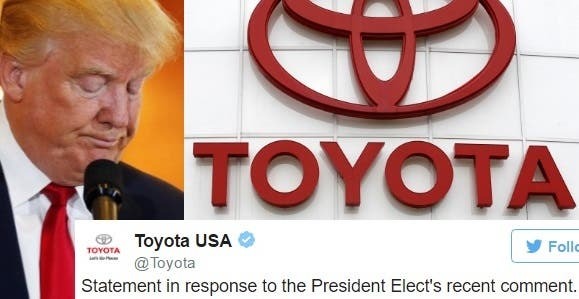 Which is why today, for no apparent reason, Trump attacked Toyota for building a factory in Baja, Mexico for the production of their Corolla car line. Now, there are a couple serious problems with this. First of all, Toyota, being a Japanese company, is under no obligation to build anything in the United States. Secondly, Trump’s proposed “border tax” against a single company – also known as a tariff to people who actually know what the hell they’re talking about – would violate the North American Free Trade Agreement and is “unheard of” among trade experts. Establishing such a tariff would prompt a retaliatory measure from NAFTA members, likely leading to a rise in prices across the United States. “If we do that it will end up hurting our consumers here because everything at Wal-Mart’s going to go up dramatically because they’ll retaliate against us” says Senator Rob Portman (R-OH). But none of these “facts” seem to matter to Trump’s sycophantic supporters, who take everything he tweets at face value and are unable to conceptualize that Trump is actually putting our economy at risk and making America a less attractive place to do business with his volatility and aggressive approach. 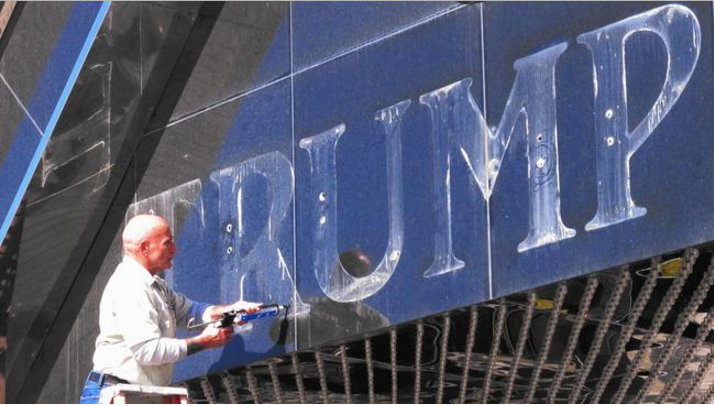 For Trump to complain about purchasing products made overseas is absolutely laughable, since he has been actively avoiding buying in the United States for decades. We cannot allow this lying con artist to get away with painting himself as some kind of populist hero while he fills our government with the most notorious crony capitalists and greedy oligarchs he can find.